Having tested a number of small crossovers, I can say with certainty that the Volvo XC60 is almost the perfect family crossover and certainly one that provides enough ‘fun factor’ to entertain car enthusiasts. I never expected to say that about a Volvo crossover. If it wasn’t for the frustrating vehicle electronics menu systems, I’d call it perfect. 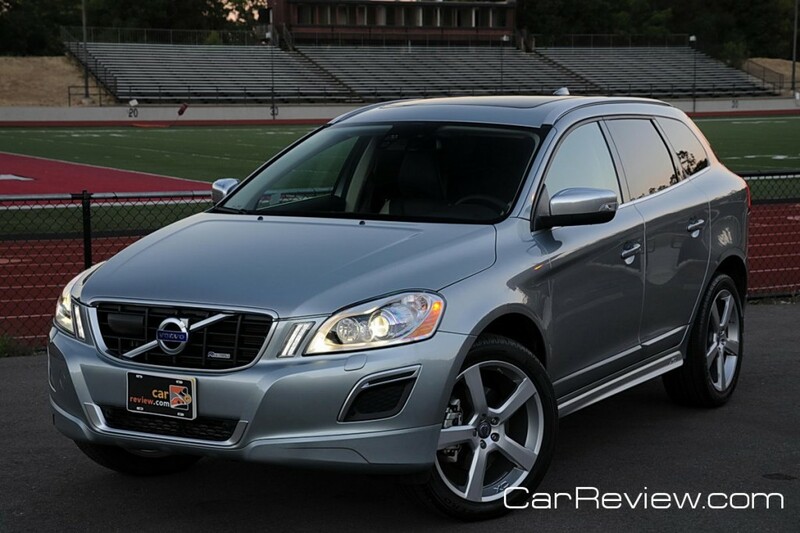 The XC60 is easily the best-looking crossover in the segment, and is unmistakably Volvo – inside and out. The R-design theme with XC side-sills, striking XC-badged 5-spoke 20-inch wheels, and R-design rear bumper give it a confident, sporty look. The R-design theme carries on inside and offers unique, blue clock-face gauges and a much sportier-looking steering wheel that shares a nice perorated leather treatment with the shifter. 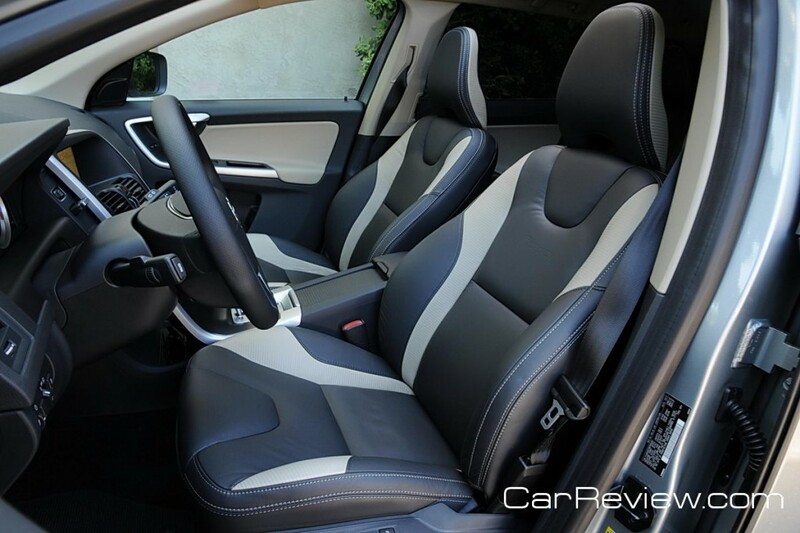 The seats are the most comfortable seats I have been in – very plush, but still provide plenty of support with adequate side-bolstering for the amount of cornering traction available. That ample cornering traction is courtesy of the R-design’s larger 255/45/20 wheels and tires and despite its ~4200lb curb weight. Volvo did their homework here. Your passengers will object to hard cornering maneuvers before the tires do. 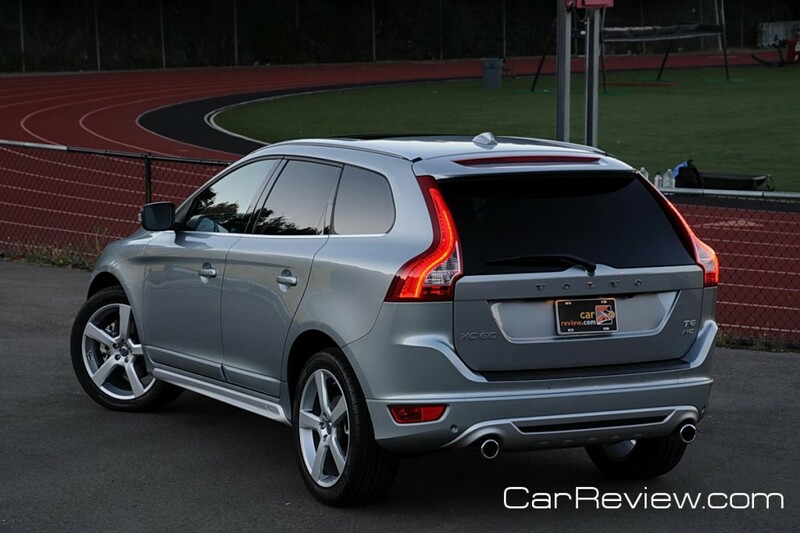 Even with those large wheels and tires, the XC60 has a noticeably small turning radius and feels very nimble. As a result, parking-lot maneuverability is great. Thanks, Peter. I think only the black ones come with a complimentary vampire. A friend of mine just bought an outback as well and he loves it. I personally like having this kind of power in an SUV. I think it depends on how you will use it. Load one up with camping gear, four mountain bikes (on the receiver hitch), and four passengers and head up into the Sierras and you’ll appreciate the power. If you are not going to need the power, Volvo makes a non-turbo model starting at $32k, which would be a great alternative. The crossovers do put you at a higher level where you might have a better chance in the case of an impact with an over-sized SUV – compared to sedan vs. oversized SUV. Nice review Bill but does it come with a Vampire since it’s the car of choice in the Twilight series?It is nice looking but does one need that kind of power in an SUV because the R type was never meant to tow anything.I don’t believe tall cars should be fast since it’s against there nature.Low cars should be fast and tall cars should be useful.Having bought my first SUV I can see why people like them our 2012 Outback is great and it is slow.My previous vehicles have been turbo charged wagons from Audi, V.W., and Volvo .Low slung shooting breaks with tons of power with the 2 box styling working as a foil.The comfort that the SUV gives is what I think it’s main purpose above all and I am told Women with a baby like the ease of entry .